Posted 10th August 2015 & filed under Blog, Education. The Sutton Trust, one of the UK’s leading education charities, has recently published the final report from its Independent Commission on Fees, a research group that was set up following the then Government’s decision to raise the cap on student fees to £9,000 per year in England in 2011. The key finding from their report is that, although overall student enrolment numbers have so far held up under the higher fees regime, there remains an “unreasonable” gap in rates of recruitment to top universities between young people from richer and poorer backgrounds, and significant questions remain over the long-term economic sustainability of the system, particularly in light of the latest reforms that were announced as part of the July 2015 Budget speech. Tuition fees: £10,000 a year by 2020? The two most significant changes to higher education funding which Chancellor George Osborne announced during his Budget speech were that student maintenance grants – means-tested payments which were intended to help students with their living costs while they were studying – will be scrapped and replaced with higher loans from 2016. He also announced a plan to hold a public consultation on letting university tuition fees rise in line with inflation as long as they can demonstrate “excellent teaching” – a plan which the Sutton Trust estimates in its report could result in average fees rising to over £10,000 a year by 2020. In line with recent research from the Institute for Fiscal Studies, another think tank, the Sutton Trust estimates that the impact of maintenance loans would result in students from poorer backgrounds accumulating significantly higher debts while they are studying, with both organisations estimating that a student whose background was disadvantaged enough to qualify for the maintenance loans could graduate with debts of £53,000 from a typical three-year undergraduate course. Their report argues that, since survey evidence makes it clear that young people from poorer backgrounds are concerned about the amount of debt they will take on by going to university, further increases could deter them from applying. 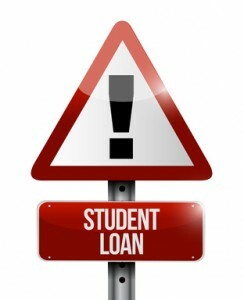 The Sutton Trust argues that students from poorer backgrounds are being particularly disadvantaged because in many cases they have no choice but to take on higher debts, whereas those who have wealthier parents are likely to receive additional support which will lower their overall debt burden. The knock-on impact of this will be that students from poorer backgrounds will graduate with higher debts, which – since there is a strong relationship in the UK between parental income and economic outcomes for children – they are likely to be saddled with for longer than their wealthier peers because on average their lifetime incomes will be lower (student debts are income-contingent, which means the repayment system effectively functions as an additional tax on their income after they have graduated). The Sutton Trust report goes on to argue that since the current estimates suggest only 5% of students will have fully repaid their debts by the time they are 40, compared with half of students under the old system, the government’s reforms represent questionable value for the taxpayer.